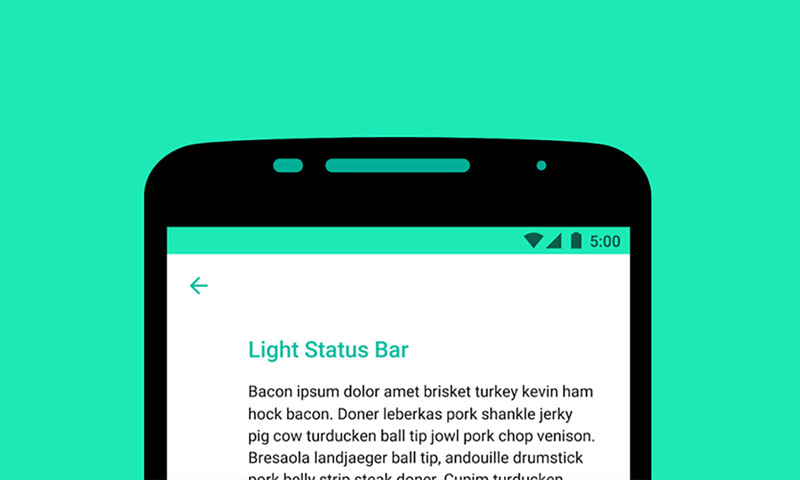 I know I said we were done with the Android M features for today, but this one just popped up courtesy of Googler Roman Nurik. According to a post of his over on Google+, in Android M, we could see things like notification and system status icons flip from white to dark depending on the app and the color of the app’s status bar. If a developer turns on “android:windowLightStatusBar” in the theme of their app, the system will be prompted to switch to a “dark foreground.” This is useful in situations like you are seeing above, where a status bar is light and wouldn’t show the white notification or system status icons very well. In his post, Roman did mention that there is currently a bug in the Android M preview that only changes the status icons to dark, leaving notification icons white. That will surely be fixed before long for those interested in lighter themes that would look better with darker notification icons.